A.J. Horton, 91, passed away Saturday, November 25, 2017, at North Mississippi Medical Center Hospice in Tupelo. 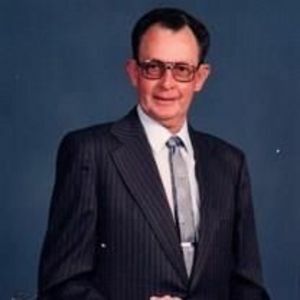 He was born April 29, 1926, to Wesley and Ella Wilemon Horton. He was a member of Booneville Church of Christ. He was a veteran of the U.S. Air Force serving in the Korean War as a Senior Aircraft Mechanic. He married Juanita Fitzsimmons in 1949. A celebration of life service will be 3:00 P.M. Tuesday, November 28, 2017, at McMillan Funeral Home with Minister Jim Estes and Dr. Greg Pollock. Burial will be in Oaklawn Memorial Park. He is survived by numerous nieces, nephews and cousins. He was preceded in death by his wife, Juanita; his parents; four sisters, Eather Smith, Glen English, Eva Geno and Mary Horton; two brothers, Thomas Horton and William Harbert Horton; and one nephew, Quindon Homer English. Pallbearers are Steve Nanney, Bobby D. Lambert, A.J. Lambert, Steven Lambert, Danny Horton and Rosendo Rosas. Honorary pallbearers are Wayne Sappington, Billy English and the Hadree's Coffee Drinkers. Visitation will Tuesday from 11:00 A.M. until 3:00 P.M. at the funeral home. In lieu of flowers, memorials may be made to the Booneville Church of Christ Christian Education Scholarship fund, P.O. Box 28, Booneville, MS 38829.